Dinosaur Jr.’s lone Sub Pop slab of wax features “The Wagon,” which sounds like a slightly different mix than the one that made it onto their fourth album, Green Mind. The b-side is a Don Fleming penned and co-sung number, “Better Than Gone,” that’s exclusive to this release. The Bats and The Chills may have beaten them to the clock by several years, but for me, The Straitjacket Fits were the quintessence of what New Zealand's revered Flying Nun label had to offer. I'm not really sure that the Fits debut album, Hail did them adequate justice, given its somewhat dense mix, but nevertheless, it was too satisfying to resist. "Life In One Chord" (a song that appeared on Hail, not the EP that confusingly shares it's namesake) bears a monstrous hook, coupled with an engulfing sonic wallop that makes this song worth the price of admission alone. 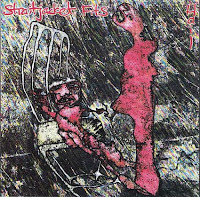 Unfortunately, these days you can't really name a price on any Straitjacket Fits song/album (except perhaps Ebay), as their entire catalog has ostensibly been deleted, save for a token best-of CD. For every indie band that gets hitched with a major label and rockets to debaucheristic stardom, there are ten others that barely make a dent in the conscience of the album-buying/MP3 plundering mainstream. Chicago's Eleventh Dream Day were the latter. Granted, in this bittersweet scenario, it's somehow comforting to established fans that they can now find their newly-minted major label signees in FYE, while still having the luxury of keeping them in their back pocket as well.Eleventh Dream Day's major label-debut, and second album overall, Beet, was simply not the stuff of stadiums, boom boxes, and adoring groupies. It was however one of the most unaffected corporate co-opted albums of it's kind, bristling with wailing feedback squalls, Velvets-y swagger, topped off with enviable escapist motifs and dark character vignettes. The vinyl only Borscht, was a promotional release on Atlantic Records that was bestowed upon radio stations as a companion piece of sorts to the Beet LP. Enshrined to cassette on January 6th, 1990 at the legendary Lounge Ax in Chicago, the seven live tracks here capture Eleventh Dream Day at the peek of their powers, with full-bore firecracker intensity. It's an intense and enthralling live document of what was arguably one of Eleventh Dream Day's finest moments. 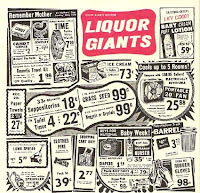 Unlike a lot of Liquor Giants fans, I wasn't a holdover follower of lead-Giant Ward Dotson's more celebrated project, The Gun Club. As for me, my acquaintanceship with the Giants was the result of tuning into CBC Radio 2 at just the right time (more specifically, on a late Saturday-evening pizza delivery run during the summer of 1999). The tune that won me over was "Paint the Whole Town Blue," from the debut LG album, You're Always Welcome, which you may now download at your leisure for an indefinite period of time. With a dollop of swagger infiltrating the buzzsaw pop of say, late-period Replacements or Let's Active, Ward Dotson's approach is genuine and satisfying, if not particularly innovative. The Liquor Giants would go onto make better albums, but little else in their catalog could scale the heights of the aforementioned "Paint...Blue," as well as their instant-classic (in a perfect world) beer can/shot glass anthem, "I Wanna Get Drunk With You." Just FYI, this album was also released in some countries under the title, America's #1 Recording Artists. Now available on iTunes and Emusic as America's #1 Recording Artist. 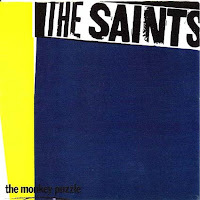 With the departure of Saints founder/vocalist/guitarist, Ed Kuepper, the band's fourth LP, The Monkey Puzzle, retreats even further away (if not altogether) from The Saints blistering punk beginnings, than even the preceding transitional album, Prehistoric Sounds. Instead, Chris Bailey with the boys (and girl) in tow, nix Prehistoric's overdone horns and just make a straightforward rock record, much along the lines of Stiv Bator's post-Dead Boys solo material. The tempo is decidedly moderate, and the guitars chime and strum sweetly, almost as if to compete with the post-punk trends of the era. Monkey Puzzle manages to avoid any new wave/new romantic trappings, but to the chagrin of certain Saints followers, this was light years away from the gale-force thrust of their 1977 punk masterpiece, (I'm) Stranded. 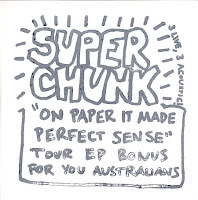 My rip of this album was taken directly from the 1989 CD reissue on Australia's Mushroom label, but you would probably have better luck hunting this one down on vinyl. Bearing static-ridden, lo-fi-ish punk rock, Columbus, Ohio's Gaunt infused a lively rawness into a genre that was (and for that matter still is) escalating itself into the commercial mainstream. Along with hometown acts like the New Bomb Turks and the Thomas Jefferson Slave Apartments, Gaunt reaped the meager rewards of the nationally exposed Columbus music scene by the mid-90s, and eventually garnered a major label deal that led to their final album, 1998's Bricks and Blackouts. Generally speaking, their early to mid-career releases were the most captivating. The vinyl-only, Whitey the Man, issued on Thrill Jockey Records, came on the heels of a handful of red-hot, locally released singles. A cut from one of those 7"s, "Jim Motherf@#$er" was redone for this fabulous 10" slab. The even better Sob Story EP and I Can See Your Mom From Here LP, (both still available from Thrill Jockey www.thrilljockey.com) were shortly in the offing. Gaunt lead singer, Jerry Wick had his life cut tragically short in January of 2001, the result of a vehicle related accident, thus abruptly capping the band's career. Back in 1993 when Chapel Hill, NC on-deck-hitters Archers of Loaf dropped their splendid debut, Icky Mettle, an acquaintance of mine described them as "two-parts Pavement, one-part Superchunk." That observation worked well at the time, but the Archers gradually forfeited their derivative tendencies for something a little more esoteric (not to mention cranky). 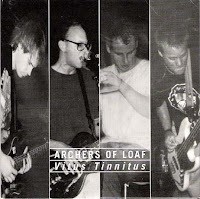 Virus Tinnitus was issued commercially as a limited edition 10" in 1997, featuring six live cuts culled from the soundboard of an October evening gig in '96, at the fabled Middle East in Cambridge, MA. My understanding is that this EP was not commercially available on compact disk, with the exception of a few being sent to indie-retailers and radio stations (if I have my facts messed up, don't be shy to comment). Long story short, this was ripped from the barely distributed CD version). Two remixes of songs from the Archers third album, All the Nations Airports, are tacked on as well. I was posthumously introduced to a fantastic pure-pop guitar band from Baltimore named The Greenberry Woods at some point in the late '90s . After two near-perfect (okay, maybe "perfect" period). 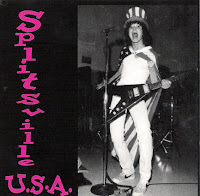 albums Rapple Dapple and Big Money Item both on Sire Records, the Woods were...well..splitsville. To the good fortune of power-pop hanger-oners everywhere, GW drummer Brandt Huseman and his guitar-slinging brother Matt Huseman, turned their then side-project, Splitsville into a full-time endeavor. Splitsville are decidedly more enthusiastic than the brothers Huseman's former outfit, especially on this debut album chock full of giddy, devil-may-care attitude, that occasionally approaches mid-tempo punk. Future Splitsville albums were a bit mellower (and more representative IMHO), but out of their three albums on Big Deal, U.S.A. is their scarcest and most obscure-worthy. 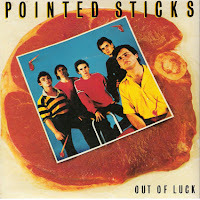 This 1979 three-song nugget of gold proved to be Vancouver's, Pointed Sticks debut and finale for the much coveted Stiff Records. After a trio of absolutely flooring singles on the local Quintessence label, The Sticks wanted to manifest their Buzzcocks inspired, organ-enhanced punk-pop to a larger audience. Stiff Records seemed to be just the place, but things fell through during the recording sessions for what was intended to be their first proper album . A full-length, Perfect Youth would eventually surface on Quintessence, but ultimately, the Pointed Sticks would leave a footprint on Stiff, albeit a smaller one than they had anticipated. The versions of the three cuts here are exclusive to this record, but alternate variations exist on the Quintessence recordings, which have recently been re-released on Sudden Death Records (www.suddendeath.com). Many a die-hard Sticks fan will contest that the original incarnations of these songs were more representative than the Stiff 7" versions, but IMHO both are commendable. 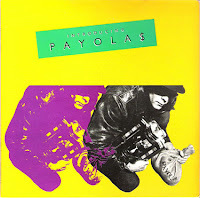 For better or worse, my familiarity with the Payola$ essentially begins and ends with this EP issued on IRS in 1980. Introducing is considered by longtime fans to be one of the last recordings they made that was unfettered by the more commercial whims of the "industry" at the time. The four tracks housed within this gatefold 7" seem to accurately support that opinion. Not quite punk, and miles from "new wave" "China Boys," and "TNT" sport a fierce, edgy kick, with just enough melodicism to attract some of the wavers while not alienating the more aggro wing of their audience. As with their more renown contemporaries, The Clash and The Police, The Payola$ dabble with rasta rhythms on this EP's "Rose." And of course, it's hard to overlook the fact that guitarist Bob Rock would eventually helm the production of a string of not-so-hot Metallica albums...if that means anything to you. 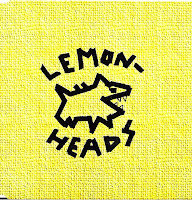 If I recall correctly, I obtained this from a flyer of Lemonheads merchandise at some point in 1997. 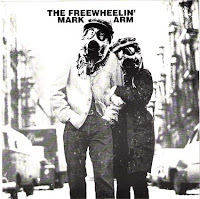 Not a proper studio record by any means, this disk doles out live cuts, covers, and acoustic takes, some of which eventually wound up as b-sides. Go figure. Enjoy. 09. How Will I Know? 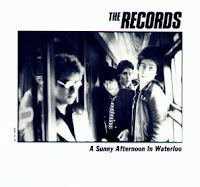 Long after the "classic" Records lineup that included John Wicks (www.johnwicksandtherecords) and Will Birch (www.willbirch.com) was put to pasture, a vinyl-only affair titled, A Sunny Afternoon in Waterloo, found it's way onto select power-poppin' turntables in 1988. Contained within were eight demos from a 1978 recording session, none of which had appeared in any form on the Records flabbergasting, debut magnum pop-opus, Shades In Bed. Thoroughly unrepresentative of the impeccable, genre-defining Records albums to follow (from 1979 to 1982) Sunny Afternoon is a gleeful snapshot of the band immersed in Dave Edmunds-style pub rock. Unabashed, unadorned, and rootsy as all-get-out, it's a fun way to kill a half-hour, but lets not kid ourselves. The best was waiting in the wings. Incidentally, a few years ago John Wicks himself was nice enough to make me a CD-R of the album, a scan of which is included in the folder. 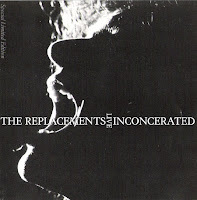 The Replacements live Inconcerated was a six-song promo only release sent to radio stations to coincide with the Mats' Don't Tell a Soul LP. In fact, Inconcerated may be regarded by some as compensation for an album that paled in comparison to their phenomenal preceding records Tim and Pleased to Meet Me. The handful of live cuts here find Paul Westerberg and the boys sharp as a tack (and assumedly sober). This is a superb concert recording, that ideally would have contained the entirety of this gig at The University of Wisconsin in Milwaukee, but I'll take five live songs over none any day. A lot of naysayers claim that Dramarama are notorious for offering one or two stunning songs on any given album, and merely pad the remainder with filler. Nonsense. While the band may have peaked in the mid-80s, all five of their 1985 through 1993 LPs, (Cinema Verite, Box Office Bomb, Stuck In Wonderamaland, Vinyl , and Hi-Fi Sci-Fi) solidy exude consistency, just so long as one invests two or three dedicated listens. When they were at the top of his their, John Easdale and crew were capable of delivering some of the most melodic, off-kilter power-pop songs that you could ever dare to wrap your head around. As a gift of sorts to their fans, in 1992 Dramarama, issued The Days of Wayne and Roses (The Trash Tapes), a fan club CD release limited to 1000 copies. I was fortunate to come across a brand new copy on Ebay several years ago, without having to shell out a left nut. Primarily, this compilation gathers numerous demos and outtakes, spanning 1981-92. Over half of these tracks later appeared on the now out of press deluxe Rhino reissues of the aforementioned Cinema Verite and Box Office Bomb, which means the emphasis here is on their earlier recordings. 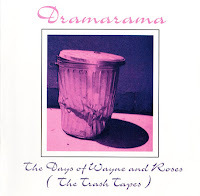 Most Dramarama die-hards won't have any complaints about that, but then again Days of Wayne... is designed for the die-hards. 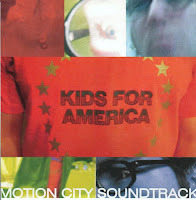 What can only be described as the "holy grail" of all Motion City Soundtrack recordings, the six-cut Kids For America ep has the dubious distinction of being limited to a mere 100 to 200 copies. Ouch. It's scarcity alone has translated into exorbitant prices of $300 or so on Ebay. This is hardly MCS' finest hour (or more precisely, 17 minutes), but Kids would prove to be a respectable stepping stone to some phenomenal albums on Epitaph Records. Having been hailed as Canada's answer to The Replacements, Montreal's The Nils extolled an enormous amount of talent, but would never quite develop the depth and breadth of Minneapolis' fab-four. Formed in 1978, brothers Alex and Carlos Soria founded the nascent Nils (quite literally, as they were barely in their teens at the time). 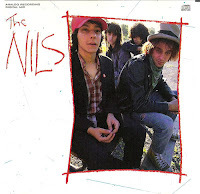 After a pair of acclaimed, distortion-laden punk EPs, Sell Out Young and Paisley, issued on local independent labels, The Nils garnered international attention. Subsequently, the quartet signed to Rock Hotel, a division of Profile Records (yes, the one RUN-DMC were on). The "profile" was indeed in-effect, (that's with "low" preceding "profile") and the label did a hapless job of promoting it. Vintage Nils followers still prefer their pre-LP recordings, but I beg to differ, as the album's version of cuts that originally appeared on the Nils EPs and demos are stunningly more taught and commanding, with a damn-near flawless recording mix to boot. 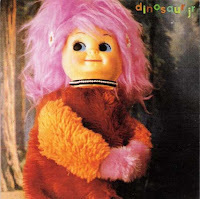 Post-debut LP, the Nils continued to play publicly and record privately, but no further releases were issued. The mid-1990s saw the formation of Chino, a Nils-offshoot commandeered by Alex that toured and issued the promising, Mala Leche EP on Mag Wheel Records (http://www.magwheel.com/). It would also be the last official Alex Soria release, as he tragically died after being struck by a train in December 2004. I would also highly recommend purchasing on the Mag Wheel label, the Nils Green Fields in Daylight, an outstanding 29 track CD compilation of all of the Nils pre-album EPs, demos, compilation appearances and more. Mandatory listening for anyone who grabs this LP! Greetings and salutations ladies and gentlemen to Wilfully Obscure, my feeble attempt to channel the neglected corridors of my music collection into something other than dust-gathering artifacts. If there are any questions, objections, concerns, reveries, requests, (and my personal favorite) praise, may I direct you to my profile for further information. Special thanks go out to Scott Rothschild, for enlightening me on the phrase this blog derives it's moniker from. Without further a do bon appetit!